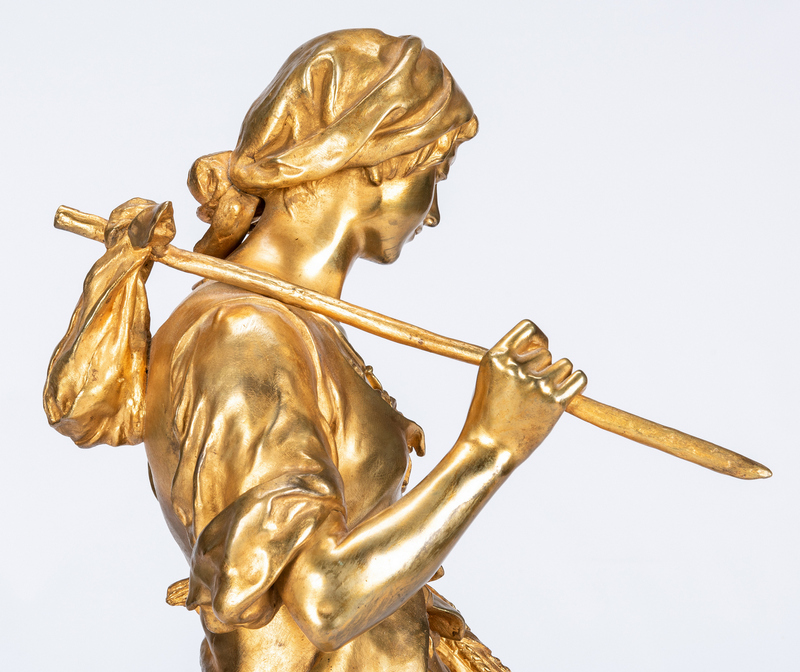 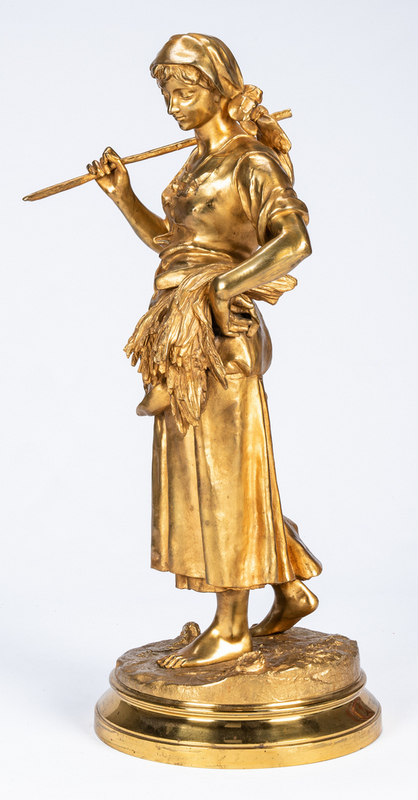 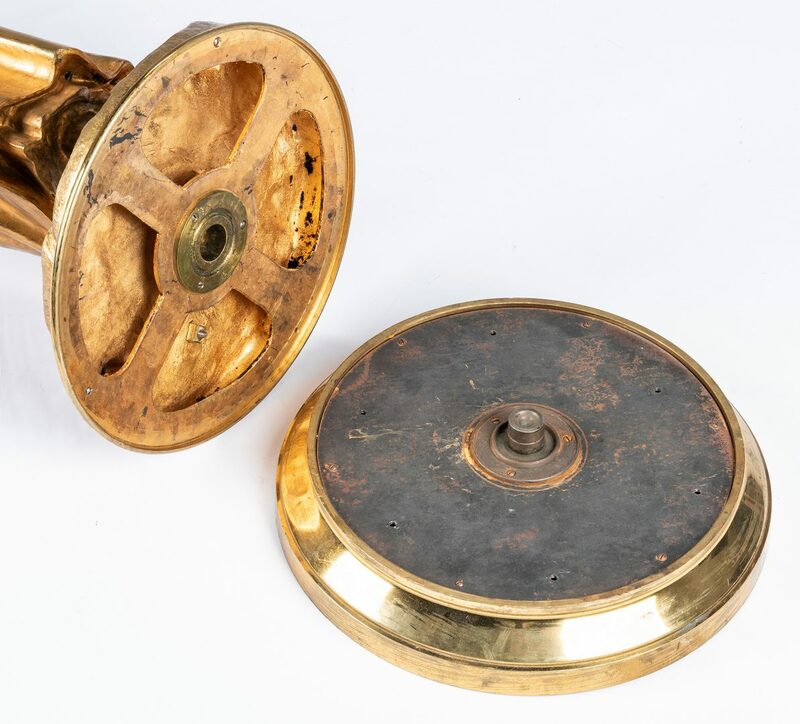 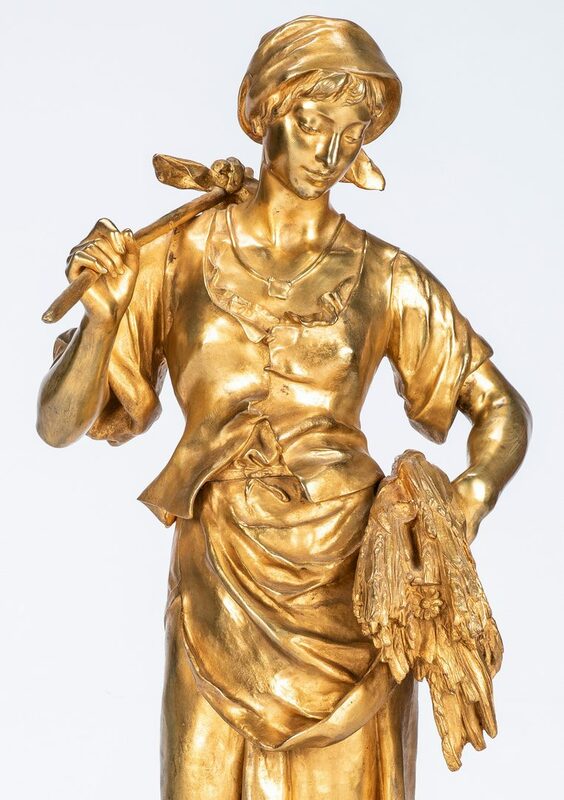 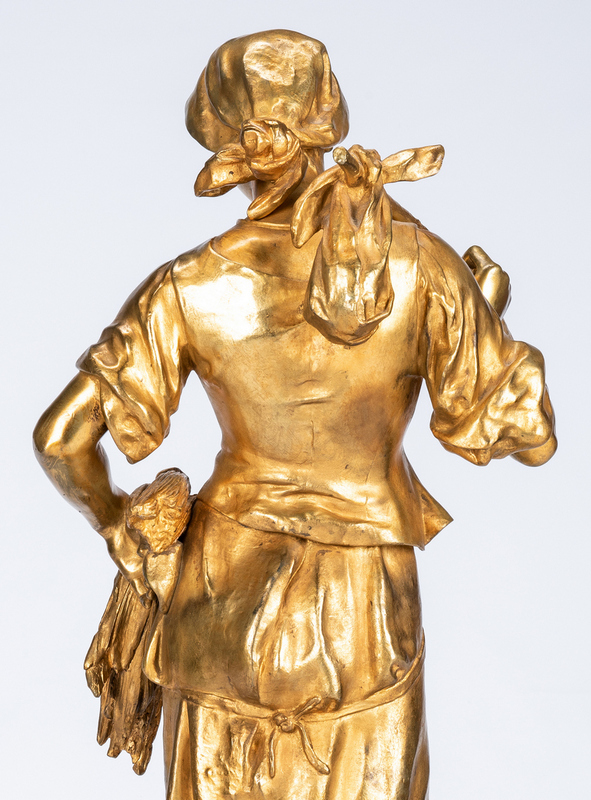 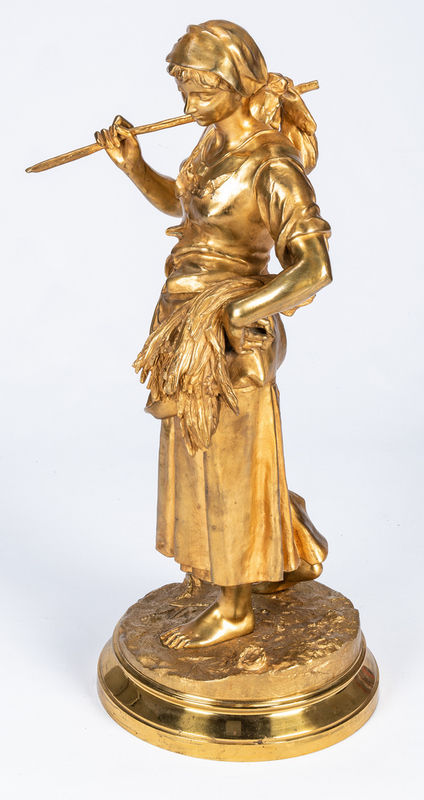 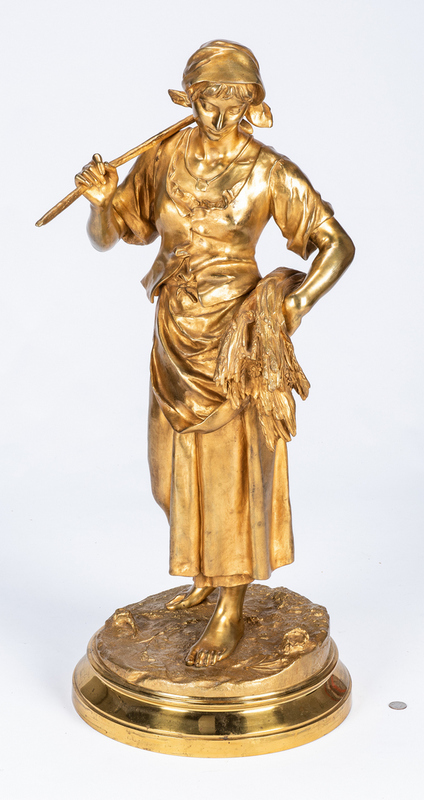 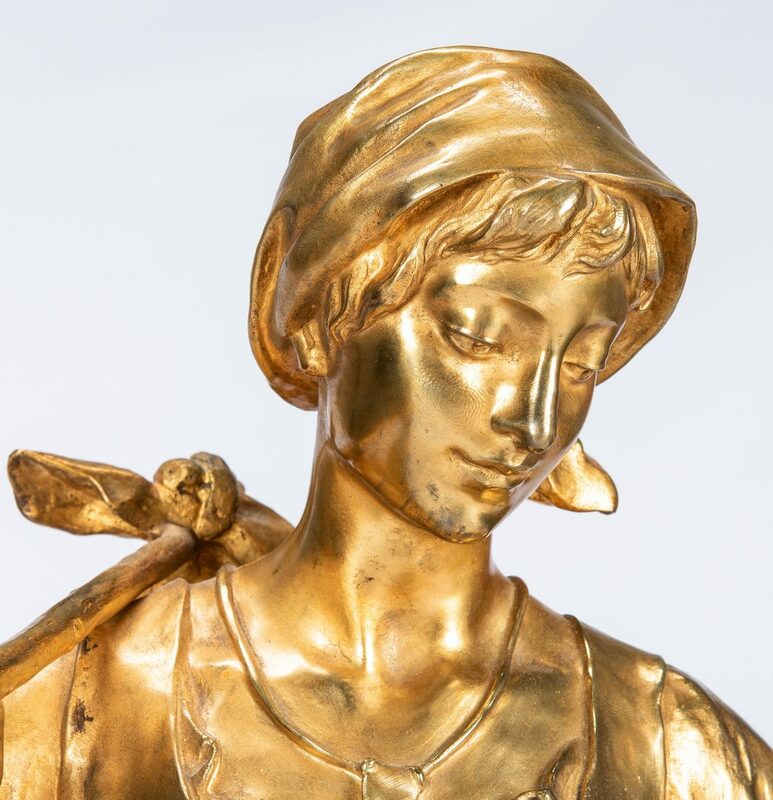 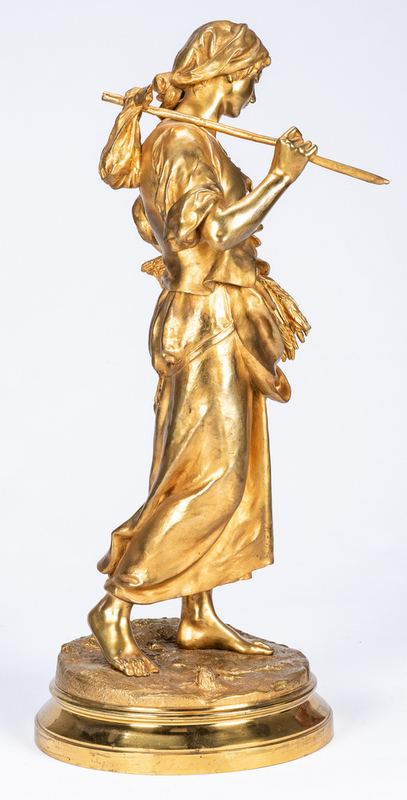 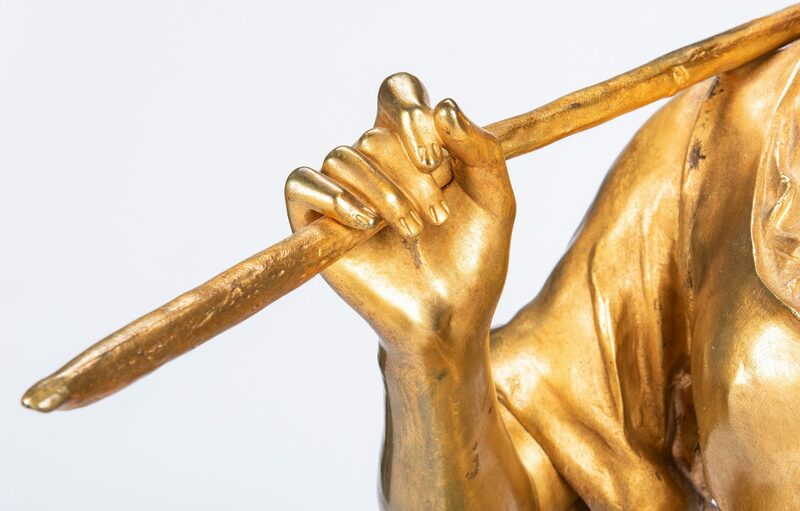 Lot 75: Eugene Aizelin Gilt Bronze Sculpture, "La Glaneuse"
You are here: Home >> January 26, 2019 Historic Winter Fine Art and Antiques Auction >> Lot 75: Eugene Aizelin Gilt Bronze Sculpture, "La Glaneuse"
Eugene Antoine Aizelin (French, 1821-1902) large gilt bronze sculpture, "La Glaneuse," depicting a peasant woman, carrying sheaves of wheat in one arm and a knapsack on stick with another, standing atop a craggy base. 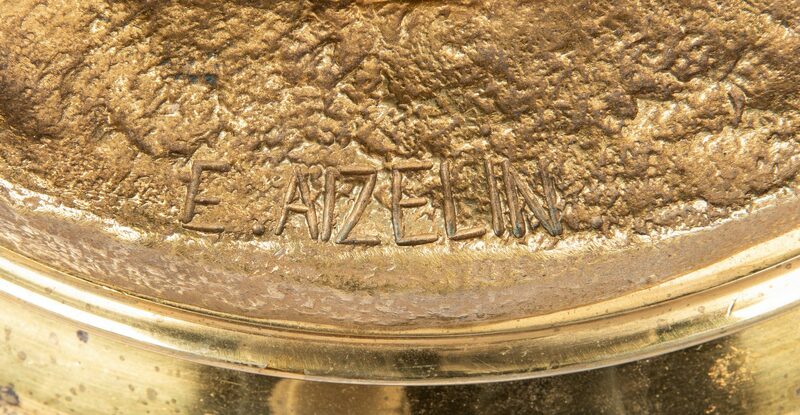 Signed "E. AIZELIN" on base. 36 1/2" H x 15" dia. 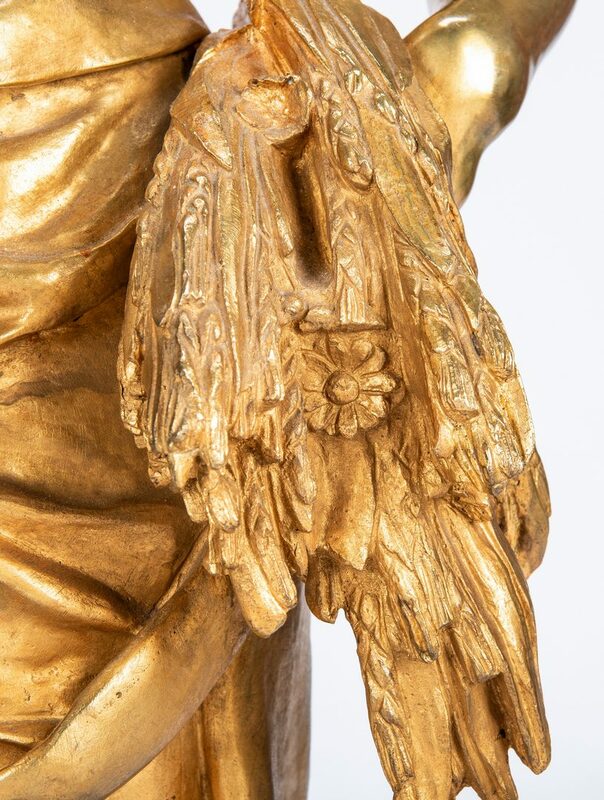 at base, 18" from tip of stick to elbow. 84 lbs. Mid/late 19th century. 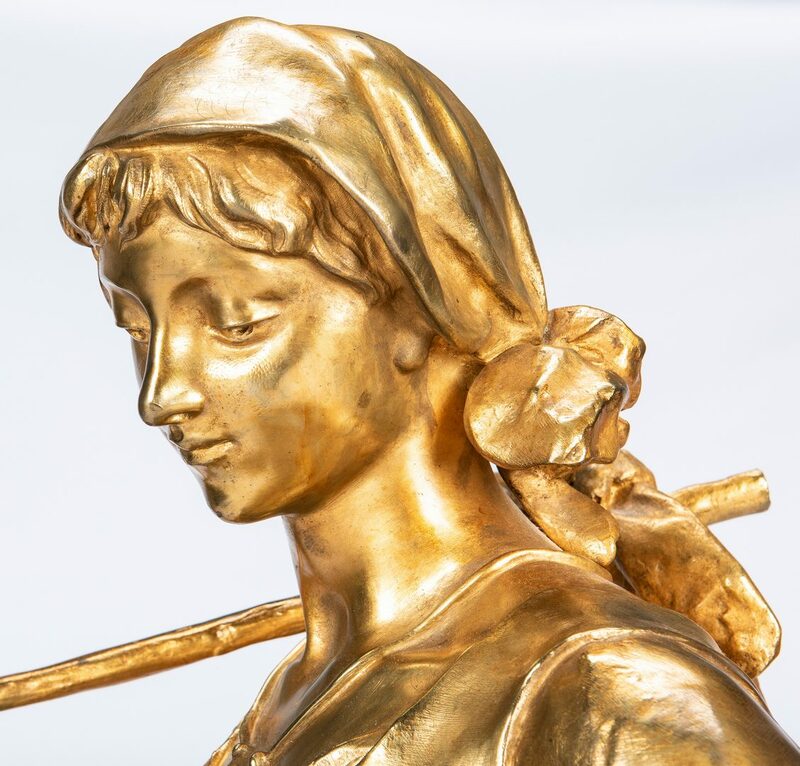 Provenance: Private Nashville, Tennessee collection. 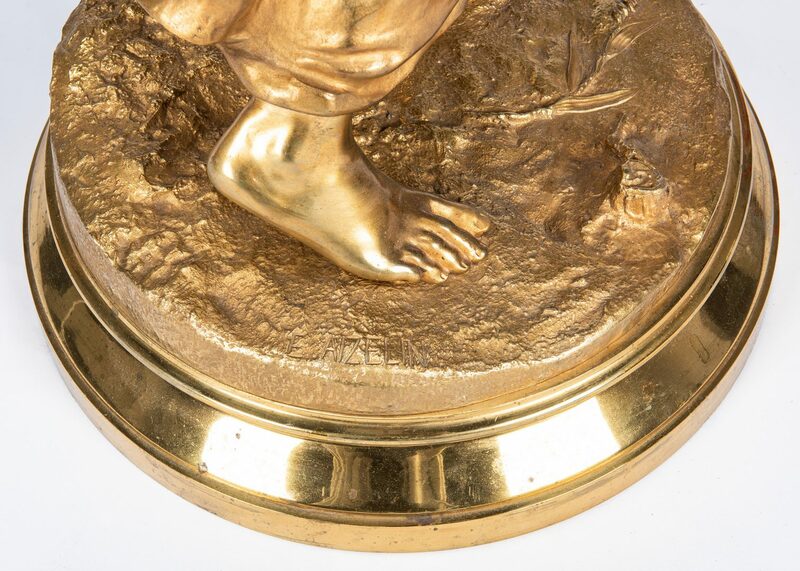 CONDITION: Scattered minor spots of wear to gilding and scattered spots of oxidation, overall very good condition.